Though I am happy with my NARS foundation, I'm starting to get low (Yes. After 2 YEARS!--the bottle lasts you.) and have decided to try out some other brands in the market. The first stop was Estée Lauder. A representative for the counter in a local department store raved about the how well the makeup matches for brown (darker) complexions. This rep's makeup was flawlessly done. Very natural-looking. Not underdone or overly done; as I oftentimes come across with makeup consultants. I trusted her suggestion. The rep blended in a dab of the Double Wear foundation in the color (6C1) Rich Cocoa along my jawline and it blended in perfectly! At the time of visiting the counter my face was already fully made up for the day. So, I left with a sample to give a full face tryout at a later time. The very next day I decided to use the Estée Lauder foundation. And I loved it! The application went smoothly. And a dab goes a long way! The tiny sample bottle I have would probably last several days, I'd expect. The coverage is good. I'd say it falls somewhere between a medium to full coverage; leaning closer to full. And I love the matte finish. This makeup has a barely there feel. And true to the brand's claim, it lasts all day! I worked a 7 hour shift, went out for dinner afterwards and went to see a movie. Basically, my face had been made up for over 13 hours. When I came home I was still looking GOOD! No trace of a long day on my face whatsoever! I barely wanted to clean my face, I was looking so gold at the end of the night! BUT!!!!! I did clean my face. And beneath it all, I had broken out. How could a makeup that did me so right do me so wrong?!! And my skin isn't sensitive. Cannot recall the last time that a product caused a breakout for me. But then again, I've only used the NARS brand for the past two years. 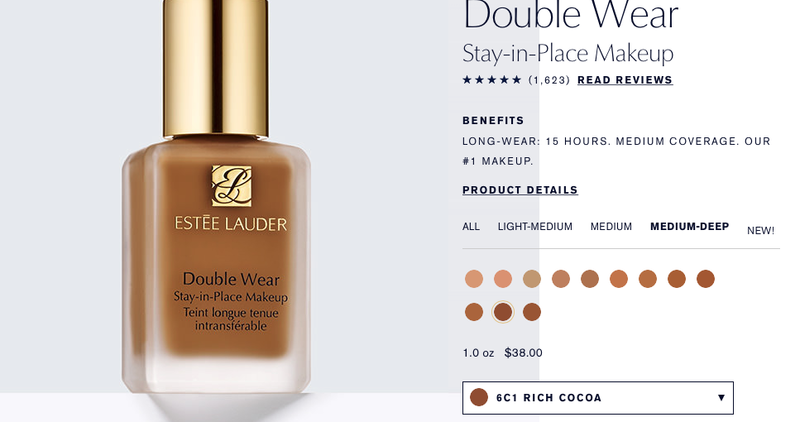 Could just be my skin's reaction to the change and not particularly to the composition of Estée's Double Wear Foundation. Overall, I think this foundation is awesome! Unfortunately, for me, my skin doesn't agree.